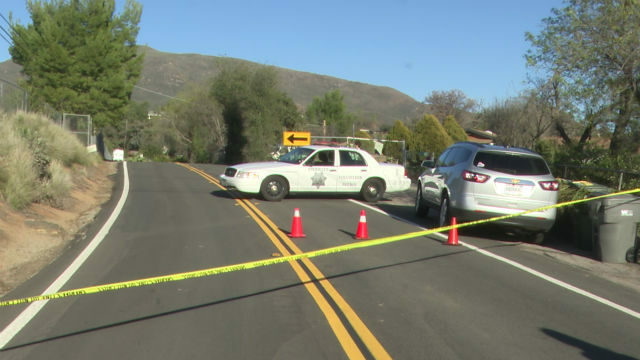 A 42-year-old man has been arrested on suspicion of murder in connection with the shooting death of a woman in a residential neighborhood in Alpine, the San Diego Sheriff’s Department reported Sunday. The suspect has been identified as Paul Paraschak, said Lt. Rich Williams of the San Diego County Sheriff’s Department. The shooting was reported at 2:12 p.m. Saturday in the area of Victoria Drive and England Place, Williams said. “The man was detained without incident and found to be armed with two handguns,” he said. Deputies also located a gravely injured woman near a vehicle parked in the 2800 block of Victoria Drive. Paramedics pronounced her dead at the scene. Paraschak was arrested on suspicion murder and booked into the San Diego Central Jail, where he was being held without bail, Williams said. The sheriff’s Homicide Unit asked anyone with information regarding the shooting to call them at (858) 285-6330 or San Diego County Crime Stoppers at (888) 580-8477.